*Book 7 nights and get a 10% discount! *Book 7 nights in our shared dorms and get a bike for 2 days for Free! *Book 5 nights in our private rooms and get a bike for 2 days for Free! *Free Welcome Drink at our Bar! 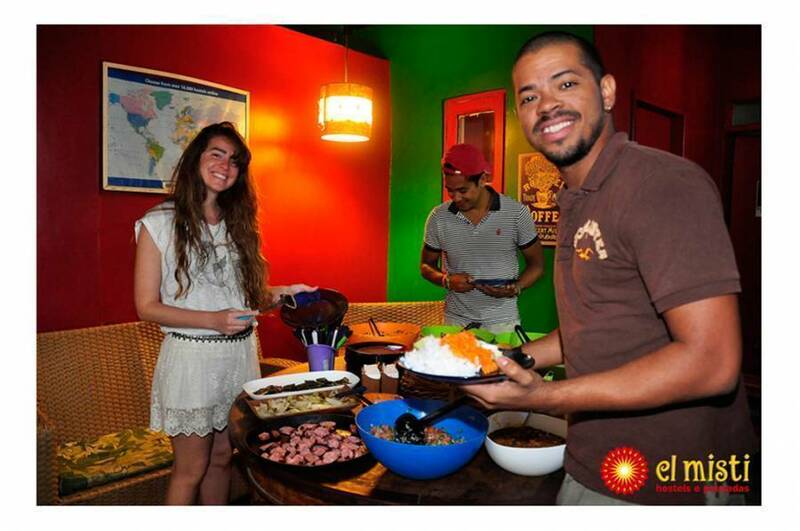 We welcome travelers and other good people to El Misti, where we offer you a super combination when visiting Rio de Janeiro a relaxing time, in a nice local area that is close to everything, but hidden away from the tourists! Here, you will enjoy good accommodation but most of all, a stay in a different and entertaining house, that you will never forget! 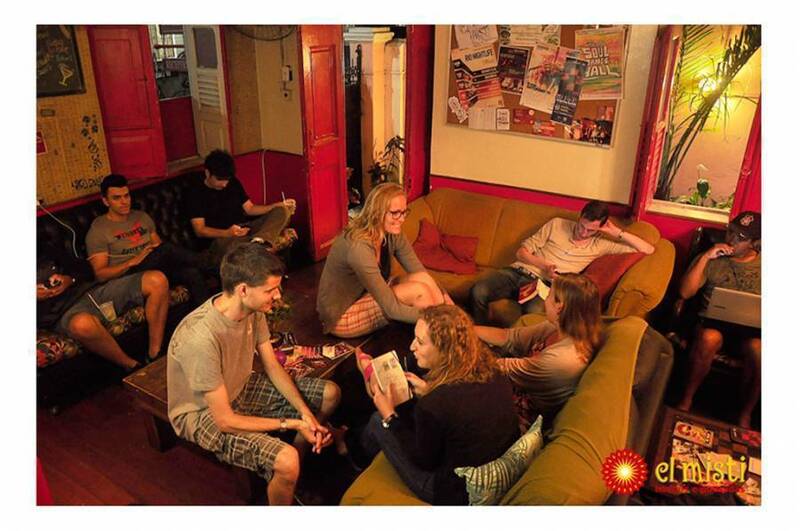 Our hostel is located in the Bairro of Botafogo. It is next to the beach of Botafogo and close to the amazing Sugarloaf. This area is filled with everything that makes the life of the Cariocas (locals) bars, restaurants, old men playing cards in the street and kids playing ball in the alleys. There is a buzz of life with mixed with Brazilian tranquility! We are in the middle of this metropolitan paradise, in a small, closed, safe and quiet street, only 100 meters from the metro. When you enter the door of the beautiful charming antique house of El Misti, you will know you have entered the house of happiness! To get to the city centre, Copacabana, Ipanema, Santa Teressa, Corcovado or any other parts of the marvelous city you will have no problem! Both the metro and buses are within 100 meters and they can transfer you to wherever you like with the click of your fingers. Copacabana and its world famous waves are only 5 minutes away! We offer you dorms or private rooms in a clean and comfortable atmosphere. 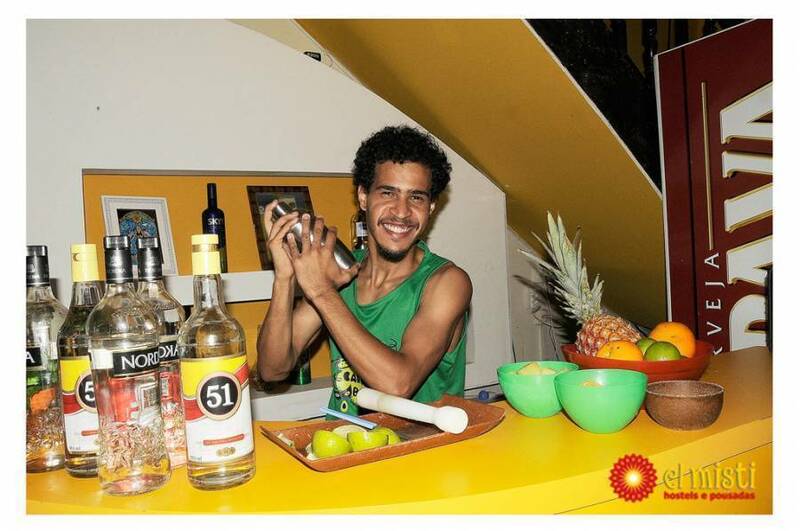 There is an open kitchen, chilling area with cable TV, book, and games, with the house DJ spinning the best of best music from chill out to dancehall reggae. With the mix of Cariocas and international people who stay in Rio because they love the place, we are able to provide you with unique service and tips to the wonders of wonderful city and to your further travel. And we have, of course, friends who offer all kinds of tours from hang gliding to rock climbing. When you arrive at our city, whether you come by bus or plane, we pick you up for free and drive you right in to the universe of El Misti! 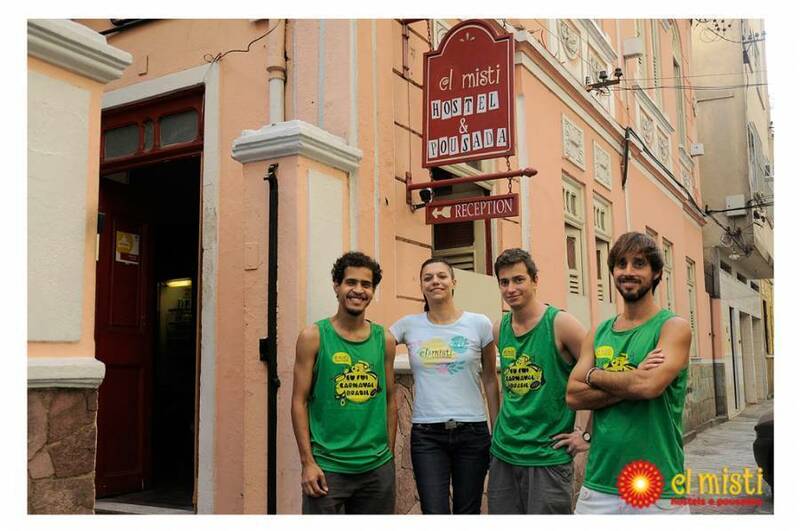 We hereby invite the people of the world to have a splendid time in Rio de Janeiro and El Misti! 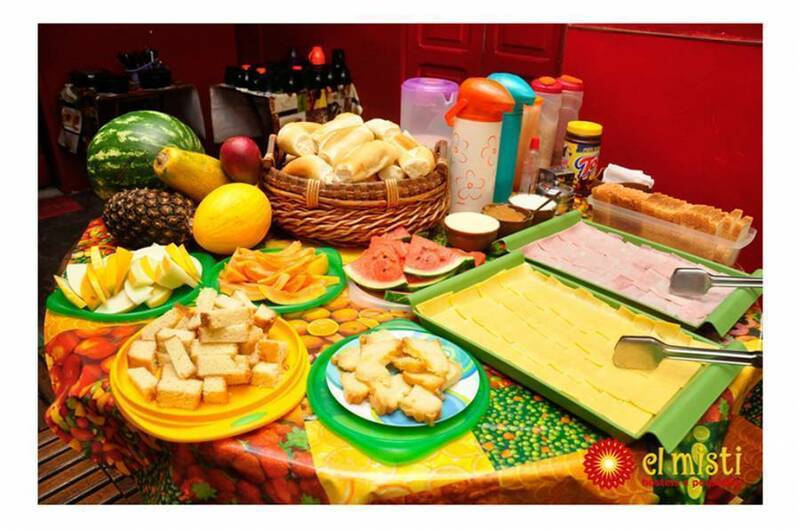 NEW YEAR AND CARNIVAL 2009 - OUR PACKAGES FOR THESE PERIODS HAVE FLEXIBLE CHECK IN! Book online with the fix dates and email us the check in date you would like to come with your booking reference!!! The New Year Eve package has a minimum stayed period of 5 nights starting on December, 29th with check out on January, 3rd. We charge an extra 40% before arrival on your booking deposit for reconfirmation (this will be debit in your credit card or with a bank deposit). This amount will be discounted to the total you will have to pay at the hostel. Remember that we only offer dorms for this package. The carnival package deal has a minimum of 7 nights. The dates are flexible and apply from February 18th until the 24th of February included. *REMEMBER that we just accept bookings in New Year and Carnival for the packages offered before. If you make a reservation for less days and not including the days mentioned they won´t we taken as a valid reservation and you will lose the deposit. *PICK UP FOR NEW YEAR AND CARNAVAL WILL BE OFFERED ONLY FOR FLIGHTS / BUSES ARRIVING BETWEEN 08. 00 AM TO 08. 00 PM. If you don´t arrive between these times, we can book for you a taxi for R$ 50. Just Let us know! We require a 50% deposit to confirm and guarantee any reservation. The remaining balance must be paid at the check-in time. Deposits corresponding to bookings will not be refunded for cancellations with less than 72-hour notice prior to the check-in date and time. Any request for a cancellation or modification must be submitted in writing. The same rules apply for both cancellations and modifications. 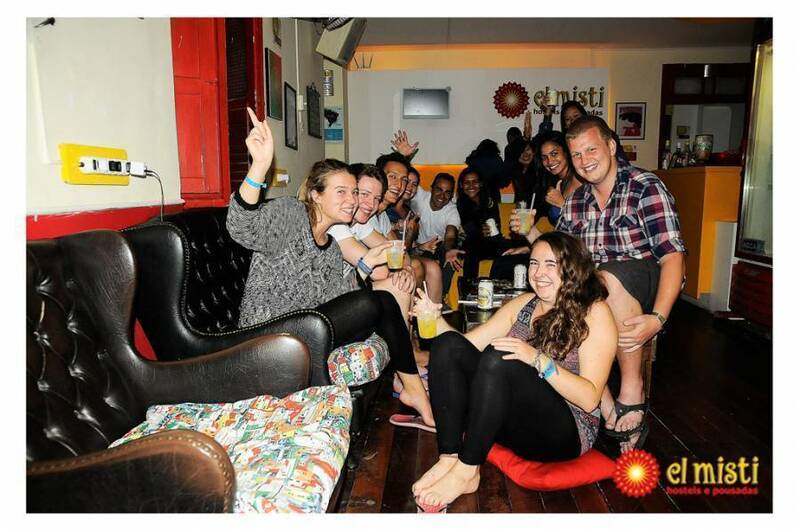 Any no-shows will be charged 100% of the reservation total after 24-hours from the check-in time if no notification is received by El Misti Hostels. We recommend that all guests purchase traveler’s insurance to protect themselves from any unforeseen circumstances. In the case that you need to make an insurance claim, El Misti Hostels will help you in any way possible including providing documentation, etc. *Cancellations for groups of 6 or more people must be made with at least a full 2 (two) week’s notice. In this case, the group may collect 100% of their deposit paid to El Misti (not including deposits made through 3rd party sites). Any cancellations made with insufficient notice will not have any portion of the deposit refunded. *Cancellations for the New Years Package can only be made before Nov. 30 and are 100% refundable (not including deposits made through 3rd party sites). Any cancellations made after that date will not have deposits refunded. * Cancellations for the Summer Season 2016 can only be made 15 days before check in date, 100% refundable. Cancellations made after that date will not be refunded deposits. *Cancellations for the Carnaval 2016 Package can only be made up until Dec. 1, 100% reimbursable. Any cancellations made after that date will not have deposits refunded. *Cancellations for the Holy Week 2016 Package can only be made 15 days before check in date, 100% reimbursable. Any cancellations made after that date will not have deposits refunded. *For Olympic Games packages it is necessary to pay 50% of the value of the reservation, which is non-refundable, at the time booking is submitted. In order to confirm your booking, the remaining 50% should be paid 90 days prior check-in date.Cancellations will only be processed 90 days prior check-in date. After that date, no reimbursement will be made.